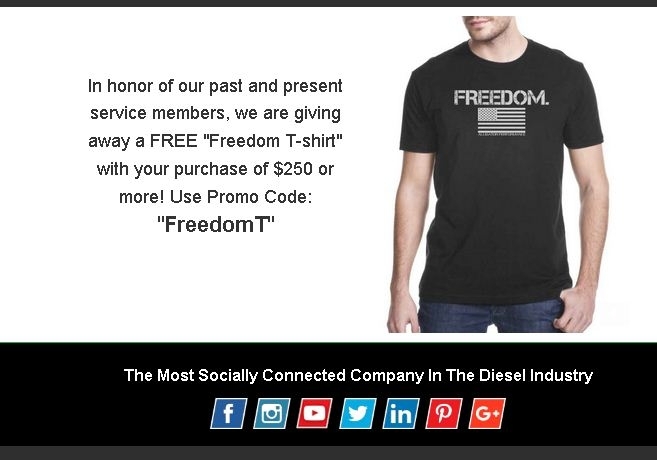 Allen Miller Free Freedom T-Shirt With Your Purchase of $250 or More at Alligator Performance (Site-wide). Use Promo Code: "FreedomT". I am validating that this deal works as described.